As soon as you sign up for DJI SELECT, you will receive five coupons that offer a 20% discount on DJI consumer product* accessories. These coupons are valid for one year! With DJI SELECT, you’ll get a 50% discount of DJI Care Refresh and OSMO Shield for consumer products* when purchasing with a DJI Care, DJI Care Refresh, and OSMO Shield plan on the same order. * DJI Care Refresh and OSMO Shield support the following DJI consumer products: Osmo Pocket, Mavic 2 Pro, Mavic 2 Zoom, Mavic Air, Mavic Pro, Mavic Pro Platinum, Mavic Pro Alpine White, Spark, Phantom series, Osmo Mobile 2, Osmo Mobile, Osmo+, and Osmo. Coupons for DJI Care Refresh and Osmo Shield can only be used for a consumer product that is purchased in the same order as these services. Please note: coupons for DJI Care Refresh and Osmo Shield cannot be used when purchasing DJI Care Refresh or Osmo Shield in an order that does not contain a consumer product. They also cannot be applied to previously purchased DJI products. 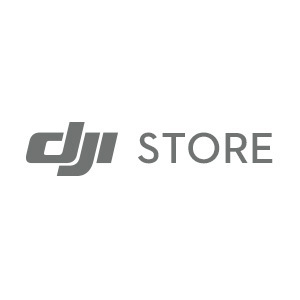 The DJI Online Store will regularly offer deals, gifts and more treatments to DJI SELECT members. With DJI SELECT, you’ll receive a treat from us on your special day. This updated policy carries the same terms as the previous one but is valid for an extended period. In the event a repair is necessary, DJI SELECT members receive priority service, with damage assessments taking on average 1-2 business days fewer than for non-members. Please note that repair time depends on the extent of the damage.